A month of holidays is almost here, starting with Rosh Hashanah. We're going to be lighting lots of candles for the next four weeks, and the candles will burn out on their own. But there are other times when we have a lit candle that we want to extinguish. This Yiddish story, The Candle, from the archives of Old Jews Telling Jokes, is less of a joke and more of a special treat. 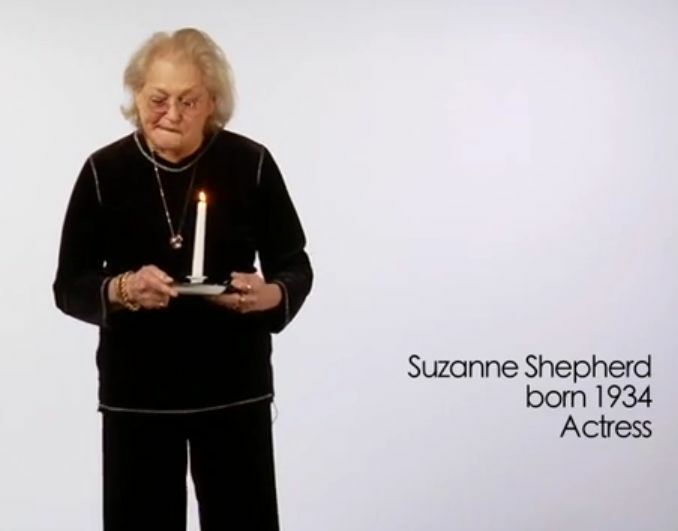 The performer, Suzanne Shepherd, is a renowned character actress and acting teacher. She is best known for her portrayal of Karen's overbearing mother in the film Goodfellas, Carmela Soprano's mother Mary De Angelis in the HBO television series The Sopranos, and the assistant school principal in Uncle Buck. This special piece of Jewish humor is spoken entirely in Yiddish, with English subtitles.